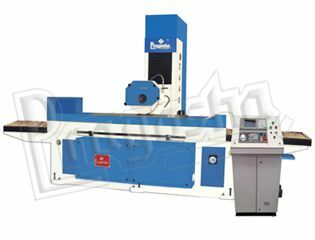 Surface grinder machines are used in many industrial sectors, but commonly it is used in manufacturing sector of industry. For many manufacturing processes, integrated parts of the machineries are required perfect in shape and measurements. Surface grinder machines efficiently functions for different metals as well as plastics. It is also used in power generation. Windmills and railways are the big user of surface grinder machines. It is also used in manufacturing of piston rings, clutch and gears, engine blocks, washers and many more.